I try to remember to do those things with my children, too, and I remind them that so many children in the world — really, everywhere but the United States — have so much less than we do. We just filled our shoeboxes for Operation Christmas Child, and I told my children that those shoeboxes would be a wonderful treasure to most of them children who receive them whereas my children have so much that they would take it all for granted. I love Operation Christmas Child and the chance it gives us to bless children in other places as well as to create teachable moments for our own children. Thank you for this advice! 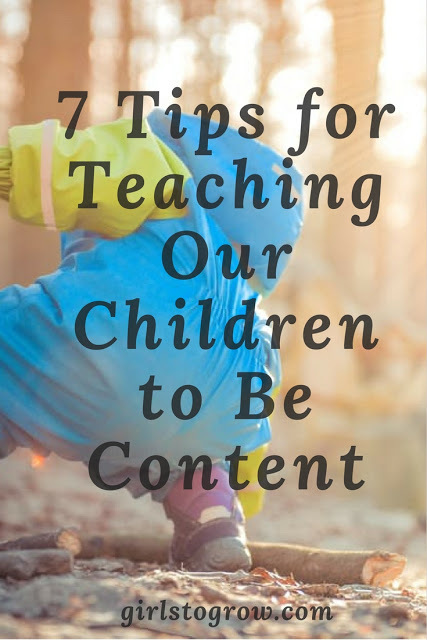 My son is almost 2, and contentment is definitely an issue we want to prioritize with him!